Knowband widens business prospects with a line of marketplace integrators. Integrate your site and feed all product assortments. The Marketplace Integrators by KnowBand are compatible with PrestaShop, OpenCart, Magento and Shopify e-commerce platforms. With the help of these marketplace integrators, online stores based on the various e-commerce platforms can be integrated with the popular electronic marketplaces. The functional benefit of these extensions offers viability of operations from a single platform, making it all hassle-free. The CMS market share accounts for 60 percent of the total websites operating currently. PrestaShop, OpenCart, Magento and Shopify happen to be the market leaders and make up to 75 percent of the total e-commerce companies that are using various CMS. This is what adds to the prominence of these extensions. KnowBand offers a comprehensive solution to the eCommerce sellers to manage their inventory and orders on the popular marketplaces. The line of feature-rich marketplace integrators is all set to assist the e-vendors in their quest of expanding of their online presence. Expand your reach and product visibility exponentially and diversify your selling channels. You can now manage your inventory and orders from a single interface. Tap a larger audience base and generate more sales with our marketplace integration modules. Seamless Integration: The plugins save the time of store owners by offering quick product listing and real-time synchronization. Whether your site is on PrestaShop, Magento, Shopify or OpenCart, there are plugins for each platform. Inventory Control: Offers an effortless interface to the store admin to manage and auto-update inventory. The plugins allow quick and bulk upload of products. Product Management: The products and their variations of the e-store can be synchronized with the Marketplaces just by running the cron. Streamlined Order Management: The order received from the Marketplace can be synced in the e-commerce store. Thus, the orders can be tracked and managed from a single platform. Error Listing: The admin can view and rectify the error that occurred while uploading products to the marketplace. Shipping regulation: The admin can regulate the shipping offered to the customers of these Marketplaces. The module allows you to create N number of shipping templates. Versatile Interface: Whether you choose a PrestaShop addon, Magento extension, Shopify app or OpenCart plugin, they are all easy to understand and use. Multi-channeling the products of an e-commerce site is one of the ways for reaching out to a larger targeted audience. With the increasing prominence of multi-vendor marketplaces, more and more businesses are offering their products on the already-established marketplaces. The integration plugins act as a panacea for integrating e-commerce sites with other multi-vendor platforms, effortlessly and readily. Knowband is a leading name for e-commerce plugin development for PrestaShop, Magento, Shopify and OpenCart. Under the brand name of Velocity Software Solutions, the organization has tiered the 421st position in Deloitte’s Technology Fast 500™ Asia Pacific list. Knowband has made its mark as a PrestaShop Partner in a short duration. 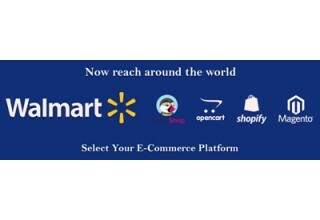 The marketplace integration APIs for popular marketplaces like Etsy, eBay, Walmart, Jet.com and Newegg are enabling even small and medium enterprises to make a shift to a larger marketplace. Knowband is a leading name as an eCommerce solution provider and module development company. 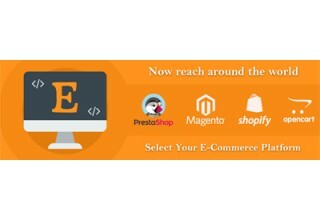 We boast of providing the best plugins for platforms like - Magento, Prestashop, OpenCart, Shopify and more.